At Free Reign in Conshohocken, there’s nothing we love more than seeing the look on a person’s face when discovering something that will be perfect for his or her home, whether it’s a serving platter or an olive oil bottle. However, a close second to that is seeing a customer find a perfect gift for someone special. Since the holidays are just around the corner, our local boutique is getting ready to help people find the ideal presents for everyone on their list. If you’re shopping for home goods this season, visit us today! We’ve written before about supporting your local community, and one of the best times to do so is during the holidays. While it may seem easier to go to a big box or department store to find everything on your list, you may not get there before a certain item is out of stock, or you may not want to buy something that everyone else in a 50-mile radius is getting for the holidays. If you’re after thoughtful and useful gifts, then a local store is often a much better option. We have a great selection from designer brands such as Saro Trading Co and Nora Fleming, and you’ll be able to find something that looks and works great in the kitchen, the bathroom, or the laundry room. Plus, you’ll be supporting a local business! If you do a Secret Santa gift exchange at work or with your close friends, then you probably have a budget to which you must adhere. At Free Reign, we have plenty of affordable options that make great gifts for the person whose name you drew from the hat. You might be looking to get them a few small gifts or one large item, but whatever the case may be, you’ll be able to find what you’re looking for in our store. If you need some handmade soap or a gourmet cheese board for your coworker, we’ll help you find the perfect options. 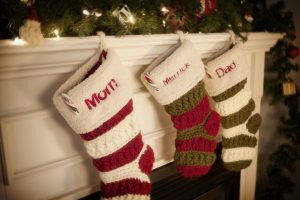 Once you’ve found the main gifts for those on your list, you want to find those little stocking stuffers that will add a unique touch to the holidays. A bottle of Inis body lotion or knit napkin holders are the perfect size for a stocking that’s hanging on the mantel. If you’re shopping for small gifts that will make the season extra special, come browse our selection today. If you’re just starting your holiday shopping, or you’re in the midst of it and you haven’t been able to find that perfect gift for someone on your list, let Free Reign assist you. Our collection of home goods has something for everyone, and we know that you’ll spot a product or two that you know someone will love. If you have a question about a product or you’re looking for something specific, a member of our team will gladly help you. 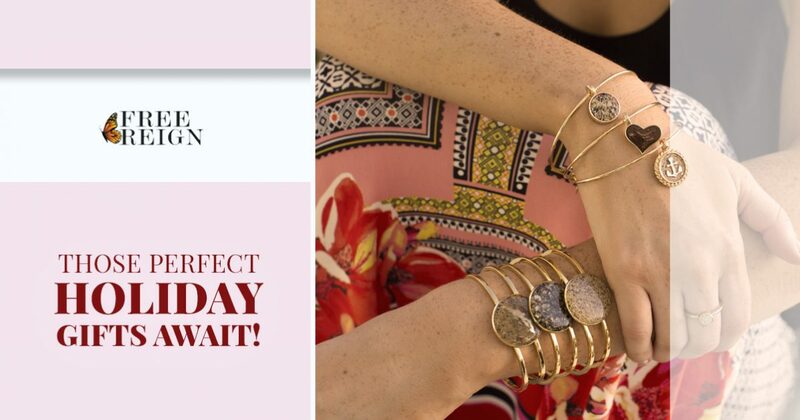 Find your perfect holiday gifts in our boutique today!